Choosing side tear checks with a variety of ethnic and cultural themes appeals to many people. All of our personal checks represent a unique life style or an international style. 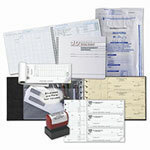 Order your favorite check design today. Whether you are looking for African Heritage checks, checks from Europe or just a peaceful check design from Japan you have good selection of choices to satisfy your desire to celebrate your ethnicity.